Speed Upp, Other Music Software from Speed Upp. 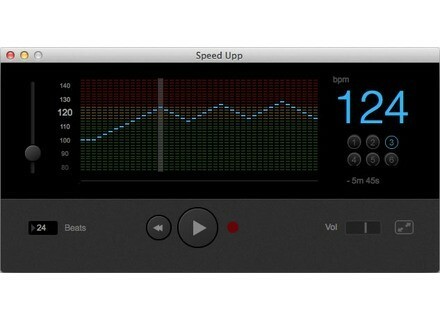 Speed Up is a new metronome app for Mac and Windows designed to help you improve your playing speed. 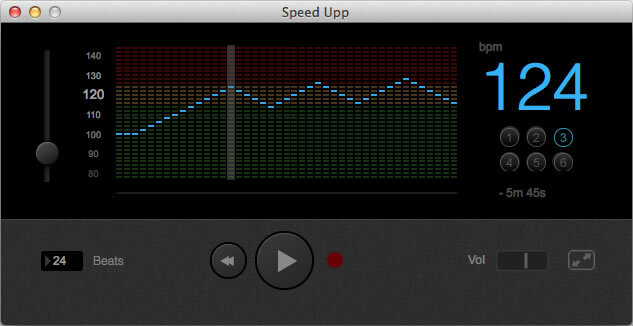 Speed Up is a programable metronome with a step sequencer/graph GUI. You can draw the tempo variations on the graph with the mouse and change the time a "step" is played. 3 sounds are also available as well as a volume control. Speed Upp is available in free (tempo up to 100BPM) and paid versions (300 BPM max and 6 user presets). The paid version is currently offered for $8.80 instead of $16 at speedupp.com.